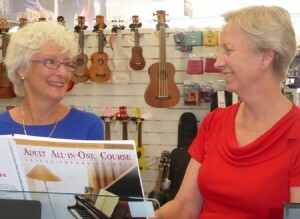 What do parent’s most want to know about music lessons? I’ve been researching practical information about how and when children should start formal music lessons along with other relevant and important questions. With so many families enrolling year after year in private piano, guitar, drums and ukulele lessons I often get asked many questions about lessons. My research turned up a few interesting and helpful answers but I could see that there is really very little information about these common questions. With that in mind, I have made a list of six of the FAQ’s I hear from parents and supplied some helpful answers. #1. 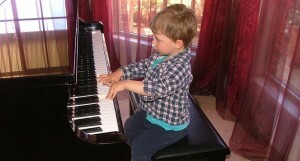 How young can my child be to start piano lessons with Music Matters? This is a great question and one very dear to my heart. Having taught very young children for many years I have an interesting answer. “Even babies can learn music”. I have witnessed babies as young as 4 to 6 months respond to musical cues. This is actually learning. But I assume this question applies to pre-schoolers? I currently teach two piano students of three years of age. I use interesting, captivating and well-thought out ways to introduce very young children to piano lessons. 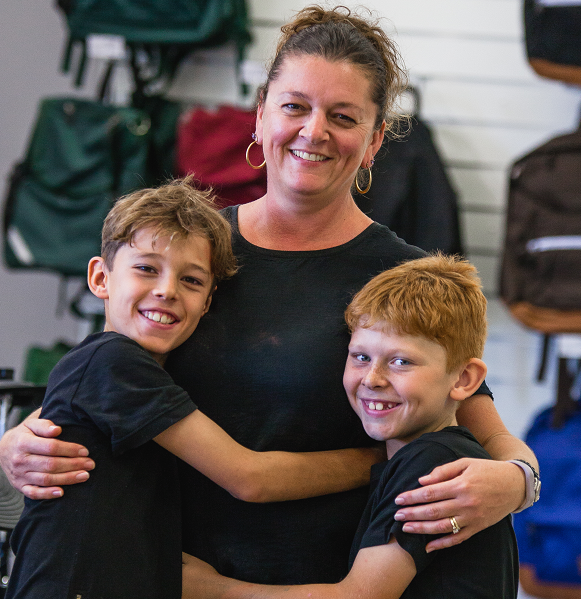 Children of this age are nearly always ready for music lessons but as a parent you will have to be prepared to come to each and every lesson with them and support them 100% at home with the musical games we learn. The only exception, as far as my experience goes is if a child is very determined to not follow musical cues. In other words if they want to bash the piano with their elbows or refuse to listen and participate then it may be better to wait a year or two for them to mature a little. If you are not sure if your child is old enough to start lessons at the age of three, please call me and we can have a free meet up and chat at the music studio. Together with your child we will go through some activities to assess whether or not he or she would be able to cope with formal lessons. Call me now on 0418 563 226. #2. 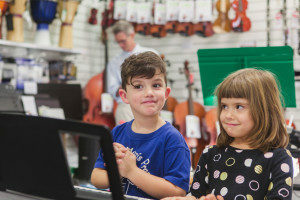 What instrument should my child learn first? 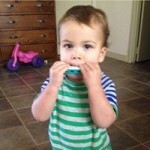 Most young children love experimenting with wind instruments. The recorder ( if you can bear it) and harmonica are two outright favourites. A close third is the train whistle. All of these instruments help kids develop a love of sound and rhythm, especially if you pop some backing tracks on in the back ground at home. These blowing instruments help encourage deep breathing, and that is a bonus. When it comes to formal lessons I will say without hesitation that learning the piano first is a wise choice. Why is this? Learning piano appears to be logical to the brain as the black and white keys are laid out in front of students. The keys go left and right and the sound becomes progressively higher at one end and lower at the other. Physically it is much easier for a new beginner to play piano than guitar, violin or cello where the arms and hands need to be bent in unusual ways. Of course drums come in a close second for ease of playing. Steel Drums Music Matters thanks to Harry Belafonte for the photo. However if you want your child to learn to play melodies on drums you would have to go for lovely set of steel drums. These sound so beautiful and it is a pity steel drum playing is not more popular in Australia. The drum sets we think of are mostly un-tuned so your child is not really learning to play music with melodies. Music Matters uses drum sets in nearly all instrumental and piano lessons to help students develop strong rhythm patterns. Learning piano generally goes hand in hand with learning to read both treble and bass clefs on printed music notation which is an advantage to students. The music for many woodwind and stringed instruments is written only on one clef. This is fine if you only ever want to read music for that instrument but to be a well rounded musician reading both clefs is a clear advantage. Besides this, part of the reason for learning to play music is that the brain is engaged and stimulated in ways no other activity can rival. Reading both clefs is very engaging! #3. Why won’t my child practise? Congratulations on enrolling your child in music lessons. So far so good. The first flush of energy, enthusiasm and interest drives your child to practise their new skill. Unfortunately over time other priorities take over and gradually music practise takes the back seat. This is especially true if your child picks up music lesson content quite easily. Some children remain self-motivated but the majority need a little help…so why won’t kids just practise? This is a fantastic question but the real answer lies where we may not be searching. The truth is, no matter what the chosen activity is, children of all ages just want to be with their parents. Instead try this: together go to the piano and sit with your child for about 5 minutes. Encourage your child to show you what they have learnt at their last music lesson. Do this the very next day after the lesson so the work is still fresh in their minds. Let them know how pleased you are that they have taken the time to play to you and then allow them some time alone to work on the chosen piece or pieces. Tell them you need to do something for awhile but you will be back in 10 minutes and are looking forward to hearing how the songs sound. You will find a huge change in their attitude because they now know that their practise time is important to you and it is not a punishment for them. It is a simple but powerful solution and it must be done regularly through out the week at home. I promise you, if you continue to “be with” your child, even if it is for a few minutes at each practise, then they will reward you with willingness. For more on this very important topic please read my eBook “A Parent’s Guide to Beating the Practise Blues. You will find many simple ideas to use to encourage music practise at home. #4. What qualities should I look for in a private teacher? Look for a teacher who involves the whole family. Learning music is a family affair. If your child’s teacher asks you to sit outside and wait during your child’s lessons then find another teacher. Your teacher should be active, interested, engaged and welcoming in her or his approach to lesson content. Look for someone who can offer free time to sit with you and your child to go through any questions you might have before you pay for your first lesson. #5. How much do lessons cost? The cost is given in simple dollars and cents and is freely published on most teachers’ websites. The fees are set by state music teachers associations such as the QMTA and are also published on their website. In this way teachers set more or less the same fees. The value of lessons, however, far outweighs any lesson fees. Consider the long term benefits your child receives from just a few years of music lessons. 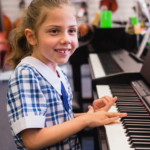 Researchers, schools, childcare centres and governments all believe in the value of supporting general education with music. Parents know this too and proactively seek music lessons for their children. The benefits of music lessons lies in the on-going benefits your child receives throughout their life. The internet is full of articles about the fact that learning music supports general education subjects such as maths. Music teachers are in fact a private tutor of music. One-to-one time spent weekly with a caring, educated and interested adult is invaluable in a child’s developing years. Students who take music lessons are more confident, more organised and more social than they may have been without them. Many parents tell me that their child has become more outgoing since gaining confidence to play piano. #6. How do I know how to help my child at home in between lessons? I used to hear this question often until I changed one aspect of music lessons in my studio decades ago. Parents are encouraged to stay in to all Music Matters lessons. Parents who stay in lesson for the full half hour have no difficulty knowing exactly what their children need to practise as they are right there as the new content is being taught. This is easier to manage when students are very young. Some students prefer to be alone in lessons and I certainly encourage the whole family to discuss this openly with the teacher. In cases where students do prefer to be alone, or where parents need to leave, I encourage the parents to stay for at least the first 5 minutes of the lesson. This way they can be present when we discuss the work done at home during the week. I also encourage parents to return 5 minutes early so they can see what we have done in lesson. Together we can go through the notes written in the exercise book for homework. The student has time to ask questions and the parent can easily see what pages to practise. I call this the “Sandwich Practise Technique” Stay-go-stay. You will find that you will know exactly what is going on if you stay-go-stay in music lessons.